Just because you have a legal prescription from a GP, doesn’t mean that these meds are accepted at your destination. 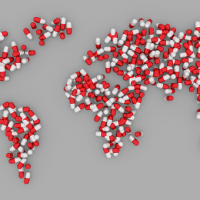 It may seem like an unnecessary check to make, but there are a number of nations throughout the world where carrying certain meds will see you falling foul of local laws. As travellers start to venture further afield, it’s imperative to check whether the substances you’re attempting to take into a foreign country are, in fact, legal there. This could save you a massive headache at customs. Or, in some cases, save you being imposed with a fine or a stay in a lovely local jail. No one wants to spend their time off in a cell, right? Although you may not think you’re doing anything wrong, it’s unlikely to be viewed that way in the country you arrive in. Ignorance is no defence, so it’s important to check before you travel. For example, a genuine script for Diazepam from a Doctor in Dolgellau won’t be viewed favourably when you rock up in Dubai, as it’s a controlled substance there. A line for Tramadol from Tremadog will get you into all sorts of trouble in Turkey, as it’s illegal. Just because you obtained something legally in Enfield doesn’t mean you can legally take it to Egypt. If you attempt to take a codeine prescription to Thailand without the relevant permit, you face time in jail on arrival. I’ve heard jokes about the Bangkok Hilton, but I’m fairly certain being there’s no laughing matter. And it’s not just prescription drugs that can land you in hot water. If you have a cold when you’re travelling to Tokyo, you won’t be permitted entry with a Vicks Inhaler. It might seem strange to us, but the nasal remedy contains pseudoephedrine. This is a controlled substance in Japan. Travelling to Turkey requires you to take a copy of your prescription to show authorities. This allows them to verify your drugs are for personal use only and have been obtained legally. And even if you’ve been there before without a script…is it something you want to risk this time? Wow that’s a wonderful blog having all details & helpful.I am impressed! Thanks you so much for sharing this post with us.